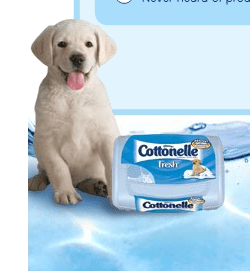 Coupon for FREE Cotonelle Wipes! Cottonelle is offering this great promo again! Go here to sign you and your friend up to receive a coupon good for a free tub of Cottonelle wipes! https://i1.wp.com/savvywifehappylife.com/wp-content/uploads/2011/04/cottonelle1.png?fit=589%2C599&ssl=1 599 589 Brandi https://savvywifehappylife.com/wp-content/uploads/2016/09/SavvyWifeHappyLife-logo-2.png Brandi2011-04-30 00:07:102011-04-30 00:07:10Coupon for FREE Cotonelle Wipes! 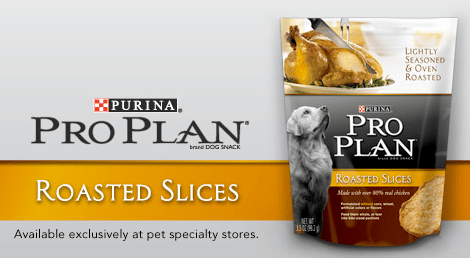 “Like” the Pro Plan Facebook page and request a coupon for a FREE sample of Pro Plan Roasted Slices. While you’re there, you can also print a coupon for $5/1 Pro Plan Pet food! 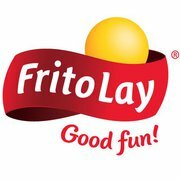 Go over and “like” Frito Lay on Facebook because they are giving away 24,000 coupons for free bags of chips. They’ve been experiencing some technical issues, but keep your eyes peeled for the link to pop up soon. https://i0.wp.com/savvywifehappylife.com/wp-content/uploads/2011/04/fritolay.gif?fit=163%2C185&ssl=1 185 163 Brandi https://savvywifehappylife.com/wp-content/uploads/2016/09/SavvyWifeHappyLife-logo-2.png Brandi2011-04-29 15:26:082011-04-29 15:26:08Free Frito Lays! https://savvywifehappylife.com/wp-content/uploads/2016/09/SavvyWifeHappyLife-logo-2.png 0 0 Brandi https://savvywifehappylife.com/wp-content/uploads/2016/09/SavvyWifeHappyLife-logo-2.png Brandi2011-04-29 13:45:542011-04-29 13:45:54It's Mega Swagbucks Day! Get Free Amazon Gift Cards! 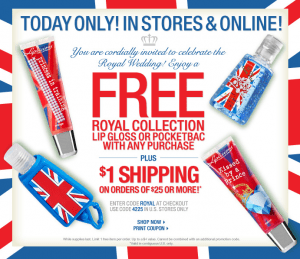 Today ONLY (4/29), you can print this coupon here good for a FREE Royal Collection Lip Gloss or Pocketbac with any purchase at Bath & Body Works! So look for something inexpensive to count as your purchase! Can you believe they made a “Royal” Collection for just today’s event?! I wonder how fast they’ll be on the clearance shelf! Walmart: What Ever Happened to “The Customer is Always Right”? UPDATE: After 2 calls to Corporate, a complaint to the BBB, and hearing nothing all week from the manager who was supposed to call me back, I finally met with the Store Manager. Unfortunately, this did not go as planned. Lacking a sincere apology and care about me and other customers, the manager told me that he was here on his day off all because of $1. And he couldn’t believe it. A store’s success is directly related to the business it’s bringing in. When customers are treated with disrespect, the store loses business. So why is it that we are disrespected? What ever happened to the universal belief that the customer is always right? The other evening I went to Walmart for a routine shopping trip, coupons and all. My problems started when my cashier told me she couldn’t accept my coupon at face value because my item was 3 cents cheaper. I told her according to Walmart’s Corporate coupon policy, “If coupon value exceeds the price of the item, the excess may be given to the customer as cash or applied toward the basket purchase.” (Walmart’s Coupon Policy here) She told me I was wrong and when I asked her to read it from the policy I had in my hand, she replied that she didn’t have time. After the floor manager agreed with the cashier, the co-manager was called over. The co-manager in a rude tone, again, told me the cashier was right. I asked the co-manager if she knew the corporate policies and she told me she did. She obviously didn’t know the policies since she wouldn’t scan my coupon at face value. Like the cashier, the co-manager refused to read the printed policy I held in my hands and ignored me when I read it to her. She wouldn’t listen to me and belittled me for no reason. After much argument and severe disrespect from the co-manager, I walked over to the assistant manager who was watching the debate. He wouldn’t even look at me, much less stand up for a 19 year old girl being harassed in front of the entire store. The co-manager said “I’m in charge tonight, he won’t listen to you. This conversation is pretty much over.” When I finally realized this store wasn’t going to follow their policies or give me respect, I left, empty handed, after hours of planning, cutting coupons, shopping, and standing in line for this trip (I requested the coupons back, of course). This week, my family and I have had to deal with not having these items that I was planning to buy. The people less fortunate than me that were going to receive some of these items as donations are also suffering, so thank you Walmart. This week, I’ve also had to deal with being publicly harassed and disrespected by these adults, simply because they didn’t know their corporate policies. I don’t put up with disrespect and I’m tired of being taken advantage of because these employees think they can get away with treating a young girl this way. It’s not right and I’m tired of it. To my local readers, please, (please!) think twice about shopping at our Walmart Supercenter (in Severn, off Quaterfield Rd.). Until they decide to treat customers with respect and follow their own policies, they don’t deserve our business. Parents, do you want your child being publicly harassed for saving money and following the policies? For those of you who don’t coupon, couponers do what they do out of necessity. Times are tough, college is expensive, and couponing is my hobby. By couponing, I am actually making stores money and giving them business (which they obviously don’t seem to understand). Please spread the word about this issue; this disrespect is uncalled for! I apologize to my regular readers, as this is not something I usually post, but this is a serious issue that I have been dealing with since I started couponing and it is only getting worse. I will keep you all updated as to what happens with this case. And lastly, if you are experiencing similar problems at your local stores, do not just let it go. Customers deserve respect and employees should know their policies. Call the Customer Service numbers and make sure your issue is getting heard. https://i2.wp.com/savvywifehappylife.com/wp-content/uploads/2011/04/brandi.png?fit=200%2C56&ssl=1 56 200 Brandi https://savvywifehappylife.com/wp-content/uploads/2016/09/SavvyWifeHappyLife-logo-2.png Brandi2011-04-29 01:34:222011-05-15 03:41:45Walmart: What Ever Happened to "The Customer is Always Right"? Go Here to Collision Plus to request a free Tire Tread Depth Gauge. Great to have on hand for safety or to add to a Father’s Day gift! Aerie: $10 off your $10 Purchase! “Like” the Aerie Facebook page to be able to print a coupon for $10 off any $10+ purchase valid at Aerie stores! Good through Sunday, May 1st This coupon can only be used at an Aerie store, not an Aerie item in American Eagle. https://i2.wp.com/savvywifehappylife.com/wp-content/uploads/2011/04/aerie.png?fit=185%2C275&ssl=1 275 185 Brandi https://savvywifehappylife.com/wp-content/uploads/2016/09/SavvyWifeHappyLife-logo-2.png Brandi2011-04-28 19:29:322011-04-28 19:29:32Aerie: $10 off your $10 Purchase! Head over here to score a free sample of Dove Ultimate Go Sleeveless Deodorant! Go here to request a FREE sample of John Frieda Root Awakening! Courtesy of Walmart and available while supplies last.